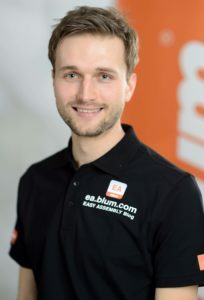 The Blum EASY ASSEMBLY app helps users to assemble Blum fittings, for example by enabling the secure installation and precise adjustment of our products. The app is particularly practical as it ensures that relevant assembly information is always on hand and up-to-date. It can also be personalised, as the user can select the content to be downloaded, which saves time and ensures that all products are assembled to the highest standard. The app is intuitive and can be used offline too, following the initial download. Helpful assembly videos show individual work steps as well as the adjustment options of our various fittings, in a way that is comprehensible, detailed and clear. 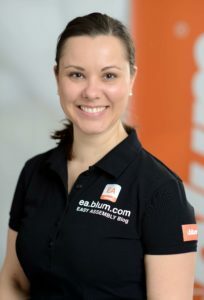 The app also includes an overview of all Blum installation instructions, clearly organised according to product group. EASY ASSEMBLY is free to download from the usual stores for iOS and Android devices (smartphones and tablet PCs).